As the country plans to go EV-only by 2030, automakers are starting the groundwork. Renault may not have an EV on sale in India, but does want to showcase its prowess in the segment. The company will display the Renault Dezir concept at Auto Expo 2018, says a report from ETAuto. The concept car was on display at Auto Expo 2012. The Renault DeZir concept is an EV with a range of 160 km. The Renault Dezir concept is actually a design study with a very emotional styling. Designers were highly focused on the show car’s aerodynamics and this has kept the drag coefficient remarkably low (0.25 Cd). Full underbody fairing and a rear diffuser help the DeZir achieve this figure which was quote impressive back in 2010 when it debuted at the Paris Motor Show. 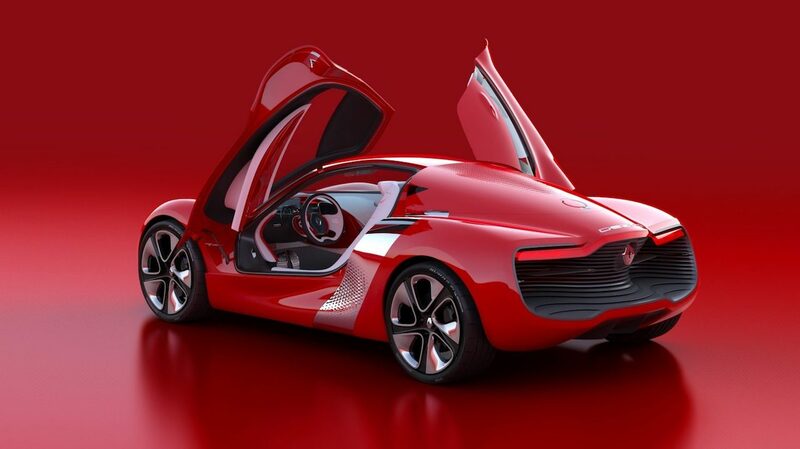 The Renault DeZir concept is 4,225 mm long, 1,968 mm wide and 1,163 mm tall. It has a notably low ground clearance of 110 km. It inspired the fourth generation Renault Clio which arrived in 2012. The 2-door coupe with gull-wing doors that open in opposite directions is powered by an electric motor mounted in a mid-rear position. The electric motor produces 110 kW and 226 Nm of torque. Weighing just 830 kg, the DeZir concept is sprightly. A 0-50 km/h sprint takes two seconds flat, while a 0-100 km/h speed run takes only five seconds. 356 mm ventilated disc brakes (front and rear) provide the stopping power. 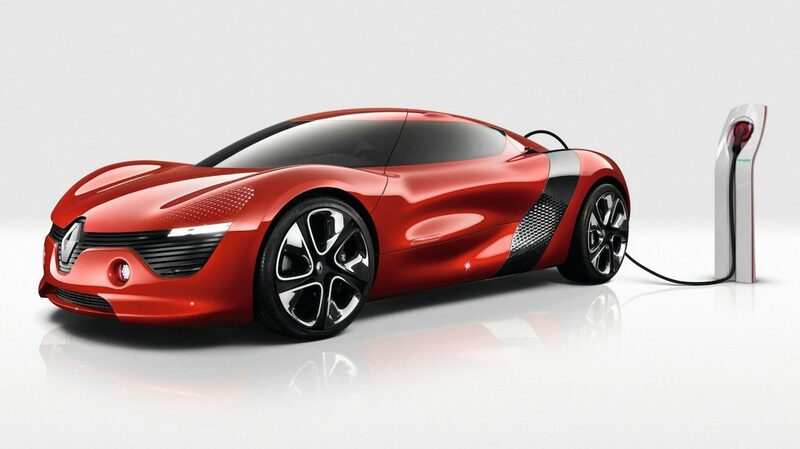 The Renault DeZir concept can reach from 0-100 km/h in only five seconds. The electric motor gets its juice from a 24 kWh lithium-ion battery located behind the benchseat. Standard charging takes eight hours for full charging, but thanks to fast charging (using a 400V three-phase current), 80% of the battery charges in only 20 minutes. On a full charge, the DeZir concept can drive up to 160 km. It features Forumala 1’s KERS, short for Kinetic Energy Recovery System. Kinetic energy is recovered and stored in the battery when decelerating, and it is used to provide a temporary power boost when required, via a button located on the steering wheel.